My name is Jordi de Oude, I am 24 years old and live in Eindhoven. 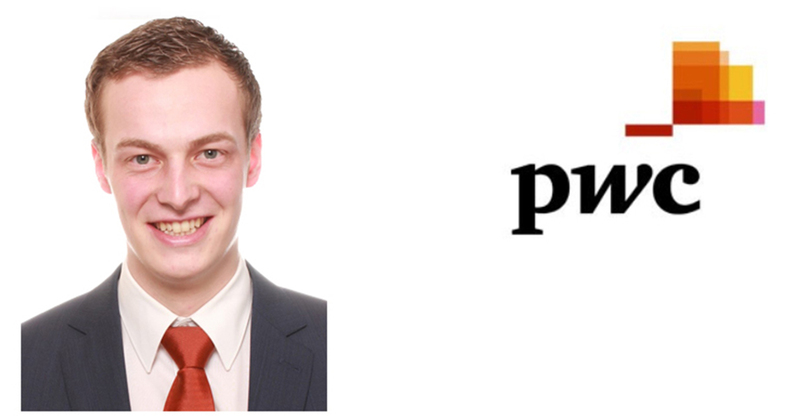 I have been working at PwC for 2 years now, first as an intern, and later as an Associate in the Assurance department within PwC Eindhoven. Simultaneously, I am finishing my last course of the Post-Master Accountancy in Tilburg. Next to my studies I enjoy spending my weekends with family or riding my motorcycle. After high school, in 2012, I moved from Apeldoorn to Tilburg to study for a bachelor in Business Economics. Despite the fact that I was an active member of Asset | Marketing, I quickly discovered that Accountancy-related courses inspired me the most. Crunching numbers and the story behind the figures I found most interesting. This interest became extra clear because of the Inhousedays of several accountancy firms I enjoyed. As a result, I started with a Master in Accountancy after graduating in the Bachelor Business Economics. During my Master I did an internship with PwC and wrote my thesis here. During my studies I had the opportunity to look around several offices, both in the Big-4 and smaller offices. Ultimately, I chose to join one of the Big-4 office, because I believed I could develop myself optimally there. Of course, that led to the question: Which office? I decided based on my gut feeling. I have been to a lot of events, like the Inhousedays, BBQ-nights and case-days. As a result, I became more familiar with 3 of the 4 major offices. Therefore, I went into job interviews with multiple offices, but during these talks my preference for PwC became clear rapidly. I immediately felt at home, connected with my colleagues and experienced the most informal vibe here. Also, I had the impression that PwC was really willing to invest in me, in order for me to develop myself. In addition, you are placed in a 2-year development program of Pwc, The Associate Academy, where you get to develop yourself with the assistance of a coach, a lot of work experience, training and social events. Within PwC I am in the final phase of the Associate Academy. During this program I had the opportunity to gather experience within almost every department, something that distinguishes PwC from the other firms. Next to that, I had the opportunity to develop myself within the program because of the great guidance of a coach, the multiple trainings that are organized, and sparring during the training days with other Associates of my year. In addition to the work and training, a lot of activities are organized where you can get to know your colleagues in a different way. For example, I went on a weekend trip to Cologne with fellow Associates of the office in Eindhoven, every year we go on a ski trip, and multiple team outings are organized, which vary from a diner to a trip to the Efteling. In addition, sports events are regularly organized, like an indoor football- or tennis tournament. Soon, PwC will be having its 125 anniversary and to celebrate there will be a big party for all the offices in the Netherlands. In short, a lot of opportunities to get to know colleagues in an informal way. 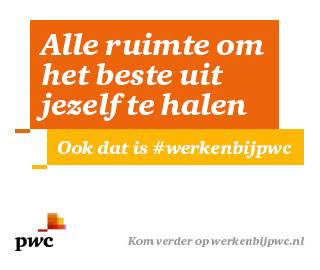 In conclusion, PwC offers you the room to develop yourself in other areas than Accountancy, as I am involved in the recruitment team of the south region of the Netherlands within PwC, and I am part of the Connected Running. Through Connected Running me and a couple of colleagues organize jogging work-outs for colleagues and clients. Go to as many of the events organized as possible to get a good impression of the culture at the companies. Ultimately, all the offices have the same type of clients and same working activities, and the difference is made by the type of people that work there and the culture of the firm. It is a search for the place that makes you feel at home. In addition, I made the right choice to write my thesis at an Accountancy firm. This kind of experience offers the opportunity to have an insight in a company where you might end up working, a look at the kind of activities you might be performing, and most of all, to get to know the people. I can recommend you to do this. Try to join a team during an internship, so you get a good impression of the work.